Spent the weekend installing Windows 8.1 on my two //BUILD/ machines, a Surface Pro and the Acer Iconia W3-810 they gave out at the Microsoft Developer Conference in San Francisco in June. I did a clean install of both machines, using a USB. Extracted the Windows 8.1 RTM ISO from MSDN to a USB thumb drive (the one they gave at //BUILD/ reformatted.) The Surface went very smoothly. The Acer, less so. The first thing you need to do is download the Windows 8.1 32 bit ISO to disk and extract it to the USB. Then, to boot the Acer from the USB, you needed to hold the Windows button (physical button on the front of the Acer tablet) and the power button at the same time. This booted into a special mode that allowed me to see the USB. Then I was able to run the install. After running a full installation, I couldn’t get any access to the network using WiFi, thus I couldn’t download any additional drivers. Finally, I found that I needed to install a driver packet from Acer support. Here is the link if you have a similar Acer tablet. 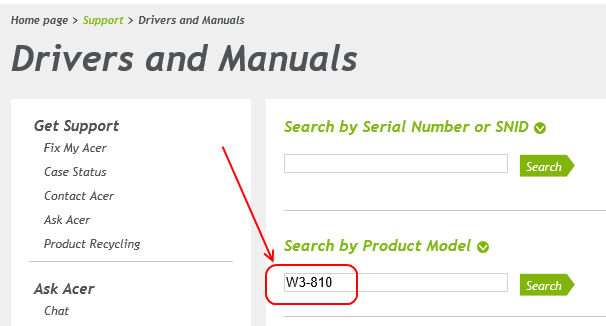 Go here: http://us.acer.com/ac/en/US/content/drivers and type “W3-810” in the “Search by Product Model” box. This is a single installation which makes all the components work. All the drivers are included in this one installation. Once activated, the Windows 8.1 RTM runs beutifully on this machine. Now I found that because this Acer has minimal storage, you need to run Disk Cleanup to remove the Windows.old file an release multiple GB of storage back. I didn’t save anything, and reinstalled all my applications, including Office 2013 Professional. After having great success getting those two machines happy: the Surface Pro running Windows 8.1 Pro 64 bit and the Acer running Windows 8.1 Pro 32 bit, I decided to upgrade my Dell Precision M6500 mobile workstation from Windows 8 Enterprise to 8.1. The upgrade took a very long time. I had a few glitches with the machine not properly shutting down. But I finally got it to boot back up, but was unable to activate it. Then I remembered with Enterprise you need to use a command line tool to activate. 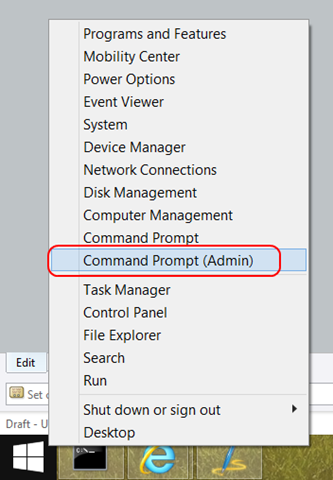 So here are the steps I used for activating Windows 8.1 Enterprise 64 bit. Then I was good to go! Now I have three machines running different variations of Windows 8.1. I like it much better than Windows 8. The differences are subtle, such as using the same wallpaper for the start screen as the desktop. Basically, you need to tweak the new DPI Scaling system. Thanks to Vishal Gupta for posting this fix.